Football is all about the goals. Nobody wants to watch a 0-0 play out, with phrases such as parking the bus and stalemate ones best avoided from Match of the Day. All the Premier League’s star players revolve around finding the back of the net. The likes of Romelu Lukaku, Harry Kane and Mohamed Salah are paid the big bucks because they do it so well. But, goals galore can also earn you the big money. 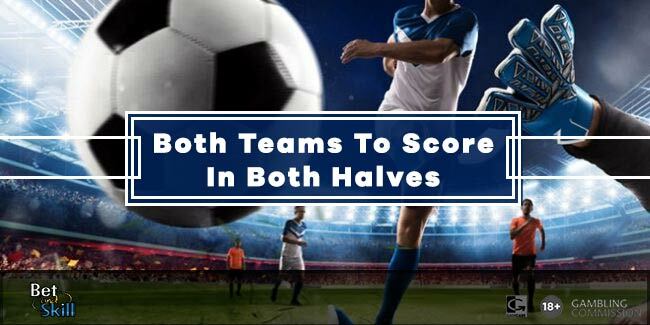 Both teams to score in both halves is one of the best wagers out there to make decent profits, with you able to earn that little bit more than you would with a simple both teams to score bet. You can play the bet on most fixture across most bookmakers. So what’re you waiting for? Get your both teams to score in both halves betting off the ground. What Is Both Teams To Score In Both Halves? You can make good money on a both teams to score in both halves bet because in reality you’re making two bets. Also known as BTTS in both halves, you’re ultimately making one bet on both sides to score in the first half and then another bet for both teams to find the back of the net in the second half. Should it not happen in one of the halves, you lost the bet and won’t receive a payout. It is a tough bet to win and is generally best placed on sides who score a lot of goals or teams who have leaky defences. The result from a BTTS in both halves must have a scoreline of at least 2-2, a scoreline not overly frequently seen, but the pay out does reflect this though. Most bookmakers these days offer both teams to score in both halves betting. It’s a wager that is becoming more popular with punters due to the high profits available and the fact we are seeing more goals than ever before. Most major bookies will have the bet within their markets on football games ranging from Premier League to the MLS and even National Leagues, so it’s readily available for most matches, although you’ll still be able to get it via each bookies request a bet opportunities on social media. 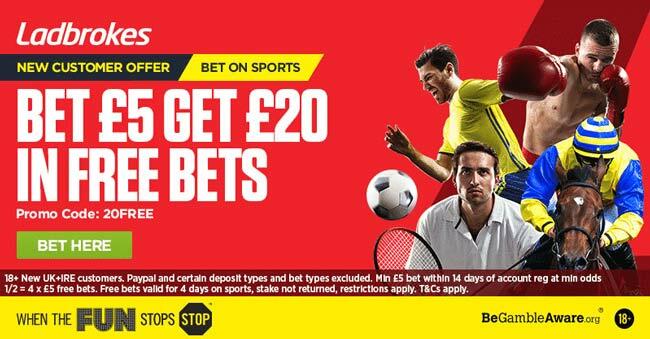 The likes of Ladbrokes, William Hill, bet365 and more all offer BTTS in both halves, so no matter who you have an account with, you’ll be covered. Both teams to score in both halves is a risky bet to take, so knowing when to play it is the key to success. You generally have to know the sides inside out before making the bet as it’s a bet that doesn’t pay out too often. Firstly, knowing who is going to be on the pitch is a pretty important factor. If a player like Cristiano Ronaldo or Lionel Messi are on the pitch, the chances are Real Madrid or Barcelona are going to score. If the star striker is unavailable for the opposition, the chances of that team scoring in both halves may be a little less likely. Keeping an eye on injuries and suspensions is always a good idea when browsing the BTTS in both halves market, as it can really affect how a team will line up, play and even determine tactics. Studying how leaky defences are is a good way of predicting goals, while teamed up with an aggressive attack usually ensures of goals, and plenty of them. A poor defence is often one of the best things to look for within the BTTS in both halves market as you can pretty much guarantee a number of goals if a side is regularly conceding. Another aspect to look at is when they regularly concede. For example, if a team usually concedes late on, keeping it tight in the first half, then a BTTS in both halves could be a risky wager. Tactics are one of the biggest factors in BTTS in both halves. We mentioned parking the bus earlier, and if a team is likely to do it, you can probably expect them to hold out for a little while. Jose Mourinho’s teams are a good example of this, with big games featuring one of his teams notoriously having a lack of goals. On the other hand, teams who attack with freedom can often be susceptible at the back and have a higher chance of being involved in a BTTS in both halves game. It’s all about how a team plays. Counter attacking sides are good to back with BTTS in both halves, with you generally seeing play a little more end to end. We’ve just mentioned Jose Mourinho and a manager’s mentality is often a good way to predict this wager. Mourinho will try to keep games tight, Jurgen Klopp is happy to take a score more than the opposition approach. A manager’s mentality will vary dependent on the fixture they face. Studying results that have a familiarity with their upcoming way is a good method to detect how each team will play. For example, if a side only needs a draw to secure a play-off spot, they’re less likely to go seeking goals than if they were, say, if they needed three points to stay in the league. Relegation battles or derbies can be good games to back the BTTS in both halves, particularly if any of the other factors above apply too. We’ve all heard and seen the magic of the FA Cup and fixtures that are one off knockout games really can cause a few surprises. Teams have to go for it, which will often result in a higher number of goals. That’s because a winner is required, so even if the sides are a little mismatched on paper, you still may get a four goal game, and with pretty good odds too. One thing to note though is on occasions such as Champions League fixtures, where it’s two legs, you may not necessarily get cases like this. The first leg is usually a little cagey and then the second leg is very much dictated by what happens in that first tie. "Both Teams to Score in Both Halves Odds"